In a recent comment, a commenter compared modern Torah Codes to acronyms noted by some traditional Torah scholars of generations past, such as the Arizal and Rav Nachman of Breslav. “A major principle, according to the Gaon [of Vilna], appears in Sifra de-Tsni’uta, [and that is] everything that was, is, and will be in all the upper and lower worlds, as well as all the general and particular things that will happen in every generation—all these are hinted at in the Torah [cf. M Avot 5:26: Ben Bag-Bag said: Turn it [Torah] over and over for everything is in it; BT Ta’anit 9a: Is there anything written in the Writings to which allusion cannot be found in the Torah? ]… every person can find his name and mission in verses” (Qol ha-Tor 1:1; 3:11). אִם-לַלֵּצִים הוּא-יָלִיץ וְלַעֲנָוִים יִתֶּן-חֵן But to the humble he grants favor (Proverbs 3:34)—אֱלִיָּהוּ חי, Elijah lives, is spelled out by the initial letters of the verse (Arizal). אוֹר זָרֻעַ לַצַּדִּיק וּלְיִשְׁרֵי-לֵב שִׂמְחָה Light is sown for the righteous, and gladness for the upright of heart (Psalms 97:11)—ר עֲקִיבַה, R. Akiva, is spelled out in the final letters of the verse (Arizal). עִיר וְקַדִּישׁ מִן-שְׁמַיָּא נָחִת And behold, a watcher, a holy one came down from heaven (Daniel 4:10)—שׁמעוֹן, Shim’on, is spelled out by the initial letters of the verse (Rebbe Naḥman of Bratslav, Lekhu Hazu). כִּי לֹא תִשָּׁכַח מִפִּי זַרְעו For it shall not be forgotten in the mouth of his seed (Deuteronomy 31:21)—יוֹחַאי, Yoḥai, is spelled out in the final letters of the verse (Rebbe Naḥman of Bratslav, Liqqutei Moharan, cf. BT Shabbat 138b: The Torah is destined to be forgotten from Israel). לְמַעַן) רְבוֹת מוֹפְתַי בְּאֶרֶץ מִצְרָיִם) (So that) My portents may be multiplied in the land of Egypt (Exodus 11:9)—רמבּם, Rambam (Rabbi Moshe ben Maimon), is spelled out by the initial letters of the verse. נַחַל נֹבֵעַ מְקוֹר חָכְמָה A flowing stream, the wellspring of wisdom (Proverbs 18:4)—נַחמָן, Naḥman, is spelled out by the initial letters of the verse (Rebbe Naḥman of Bratslav, Liqqutei Moharan, Ḥayei Moharan, 189). וְנֹקֵב שֵׁם-יְהוָה מוֹת יוּמָת And he who invokes YHWH’s name shall be doomed to die (Leviticus 24:16). יֵשׁוּ (Yeshu), Jesus, is spelled out in reverse, indicating judgment, by the first three letters of the first three words (Rabbi Meir Paprish [Poppers], Ohr Ner). I don't believe in the significance of these first-letter-of-word encodings either, so perhaps I am not the one to best argue this. However, I see no one else prepared to do so, and so will take on the task. There is a major qualitative and quantitative difference between these examples of yours and Torah Codes. כח הַנָּבִיא אֲשֶׁר-אִתּוֹ חֲלוֹם, יְסַפֵּר חֲלוֹם, וַאֲשֶׁר דְּבָרִי אִתּוֹ, יְדַבֵּר דְּבָרִי אֱמֶת: מַה-לַתֶּבֶן אֶת-הַבָּר, נְאֻם-ה. 28 The prophet that hath a dream, let him tell a dream; and he that hath My word; let him speak My word faithfully. What hath the straw to do with the wheat? saith the LORD. Just because prophecy and dreams bear similarities does not make them equals. One is chaff and the other is wheat. In works of literature produced by humans, authors employ acronyms as a literary device. Thus, interpreters of that literary text might be expected to look for such messages and (since dibra Torah kilshon benei Adam) it is not surprising for a Divine author to likewise employ it. Utilizing the last letters of words, rather than the first letters, is a simple extension of this. In contrast, the use of equal skip letters throughout a text, backwards and forwards, with overlapping words in a grid formed by those letters was not historically used as a literary device. It is more like a cipher or steganography than a literary device. The claim is that this message could be intended and deployed alongside the plaintext by someone with Divine Powers. Sure, but a "could" is not the same as a "would". First-letter-encodings: There are 79,847 words in the Torah, which means the corpus formed by first letters of words is of size 79,847. Similarly, the corpus formed by last letters of words is of size 79,847. If one searches and finds a message, this is looking for and finding a needle in a haystack. Torah codes: There are 304,805 letters in the Torah. That means that the corpus for an ELS (skip length) of 1 is 304,805. What about for an ELS of 2? Well, the corpus size would be half of 304,805 letters, because we are only looking at only every other letter. But there are two such corpora -- one beginning with the Bet of Bereishit (and looking at every odd letter) and one beginning with the Resh of Bereishit (and looking at every even letter). So we have a total corpus, for ELS of 2, of 304,805. What about for an ELS of 3? Each corpus is a third the size, but there are three such corpora. So, total length of of 304,805. ELS of 4? Each corpus is a quarter the size, but there are four such corpora. So, total length of 304,805. And so on and so forth. That means that the total length of the corpus, considering every positive number ELS, 304,805 squared. That is 92,906,088,025 letters. That is 92 billion letters. And if we consider negative ELS as well, it is twice that, 185,812,176,050. That is 185 billion letters. Compare 185 billion letters to search through for Torah codes vs. 79 thousands letters to search through for first-letter acronyms. Of course you are going to find something. Given how many instances there will be, of course in a few of them you will be able to convince yourself that there is some significant tie-in to the enclosing verses. This is searching for hay in a haystack and declaring it to be a needle! There is only one ELS that I am persuaded carries an intended message. That is an ELS of +1. Update: As Joe in Australia pointed out in the comment section, many of these "compelling" examples are not just acronyms but also anagrams. This makes a match much more likely. His rough calculation was that, for a 5 letter word, since there were 5! permutations, this multiplies the corpus size by at least 120. My updated response is then this: First, it makes these compelling examples much less compelling. I had focused on the three that did not involve (any or much) permuting - Eliyahu, Rambam, and Rabbi Akiva. But indeed, ones which involve acronyms bring the literary form slightly closer to the steganography of Torah Codes. In terms of quantitative difference, though, if we do have this rough estimate of multiplying by a constant of 120, this is still a far cry from squaring the corpus size. 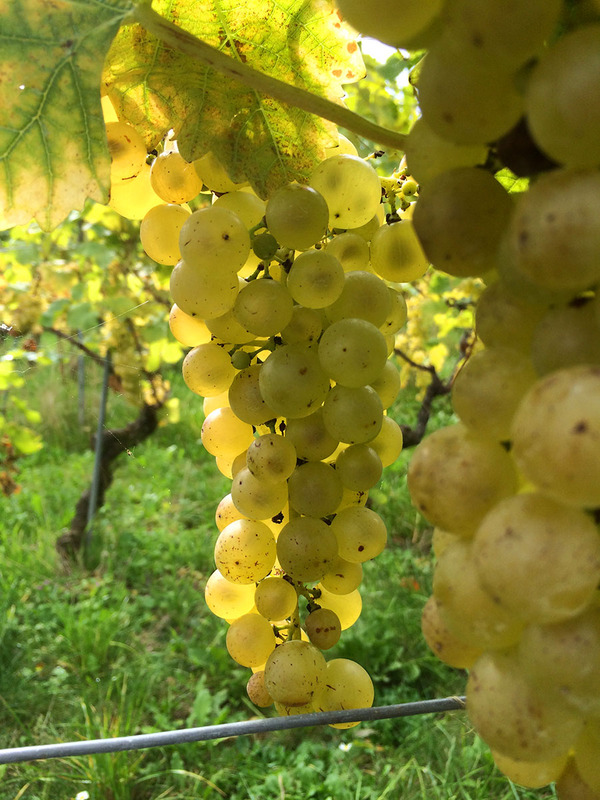 Shelach: Why specifically the ripening of the grapes? they take a branch and on it a cluster of grapes, זְמוֹרָה וְאֶשְׁכּוֹל עֲנָבִים, but they also take from the pomegranates and figs. The Lubavitcher Rebbe asks a question based on this, and derives an important life lesson. And this is good drash, or drush, even if we eliminate the question on the basis of realia or close analysis of the narrative on a peshat level. On a peshat level, though, how can we resolve this question? The obvious answer is that not all fruits ripen at the same time. It could well be the יְמֵי בִּכּוּרֵי עֲנָבִים, the season of the ripening of the first grapes, and not yet the season of the full ripening of pomegranates or figs. Those fruits might still exist on the trees, but not fully ripe. Or they could have already have been ripe for a while, and still exist on the trees. As you can see from the chart, the time of harvest of figs and pomegranates is about a month after the time of harvest for grapes. This handily answers the Lubavitcher Rebbe's question -- it was indeed not the time of harvest for pomegranates and figs. From a peshat perspective, there is still an issue in need of resolution. Moshe indicated fruits in general, and indeed, they took other fruits besides grapes, so why even bother to mention that it was the יְמֵי בִּכּוּרֵי עֲנָבִים? they cut off a single branch with grapes, and carried it on a pole using two people to carry it. See how great the produce of the land was. (And how dare they criticize it?) This was in spite of it being only the beginning of the first ripening of the grapes? Or, if bikkurim are more abundant than later growth, this יְמֵי בִּכּוּרֵי עֲנָבִים accounts for the abundance. And these grapes were so impressive that they named the place after that cluster of grapes. Yes, they also took samples of other canonical fruits of the land, מִן הָרִמֹּנִים וּמִן הַתְּאֵנִים, which was part of Moshe's instruction. The last post in the series. See also parts one, two, three, and four. The last difference described and explained by Ibn Ezra is that the number of Yishai's sons. In I Divrei Hayamim 2:12-16, Yishai has seven sons and David is the seventh. טו אֹצֶם, הַשִּׁשִּׁי, דָּוִיד, הַשְּׁבִעִי. 15 Ozem the sixth, David the seventh. טז וְאַחְיֹתֵיהֶם, צְרוּיָה וַאֲבִיגָיִל; וּבְנֵי צְרוּיָה, אַבְשַׁי וְיוֹאָב וַעֲשָׂהאֵל--שְׁלֹשָׁה. 16 And their sisters were Zeruiah and Abigail. And the sons of Zeruiah: Abishai, and Joab, and Asahel, three. Meanwhile, in I Shmuel 16:6-12, Yishai sets out his seven sons before Shmuel -- see pasuk 10 -- and only after that brings out David, which would make David the eighth. [Divrei Hayamim] דָּוִיד הַשְּׁבִעִי, he [the anonymous grammarian with whom Ibn Ezra is arguing] says that it should have been הַשְּׁמִנִי, for so is written [in sefer Shmuel] וַיַּעֲבֵר יִשַׁי שִׁבְעַת בָּנָיו [before bringing out David]. And many have answered that one of them died, and they are not saying anything [of substance], for in the days of the author of Divrei Hayamim, none of them were alive. Rather, it is possible that Yishai had another wife who bore him a son, and so the first pasuk [namely, the 10'th pasuk which gave a figure of seven sons] listed sons from whichever wife there was, while in Divrei Hayamim they were listed as they were from one womb. And like it is [I Divrei Hayamim 8:1] בֶּלַע בְּכֹרוֹ אַשְׁבֵּל הַשֵּׁנִי. With this, Ibn Ezra ends his discussion of Lower Biblical Criticism, and moves on to the question of whether Biblical Hebrew has contranyms. Perhaps some analysis in a follow-up post, but I should explain his reference to בֶּלַע בְּכֹרוֹ אַשְׁבֵּל הַשֵּׁנִי. These lists don't match, and Ibn Ezra asserts that the same explanation could apply here as there.